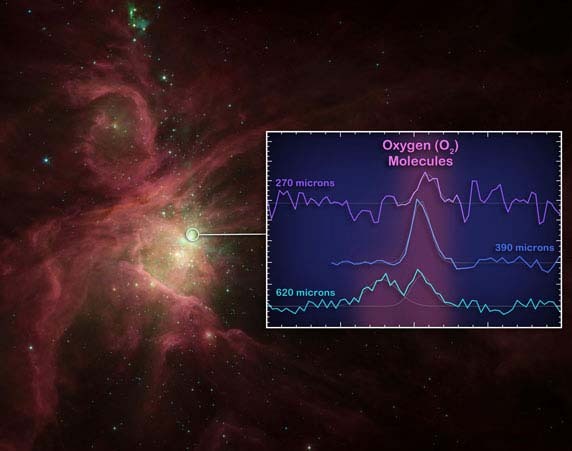 Scientists have detected oxygen molecules in the star-forming region of Orion. Researchers believe frozen dust particles consisting of oxygen atoms evaporated in the heat of budding stars to form molecules.It is the Herschel spacecraft of European Space Agency(ESA) that has discovered oxygen molecules in space. The findings were published in the August 1 edition of Astrophysical Journal. 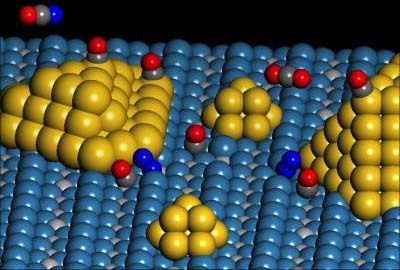 While oxygen in its atomic form exists in water and carbon monoxide. According to researchers it is the third most abundant element in the universe. 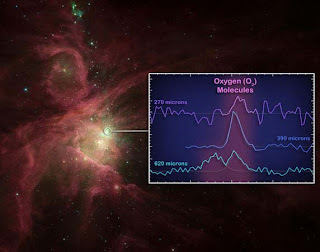 Now the oxygen molecules were discovered in the Orion star-forming region. However, they are few in number. The scientists used three infrared frequencies emitted by Herschel's far-infrared instrument and found one oxygen molecule for every million hydrogen molecules within gas and dust surrounding Orion's forming stars. The Herschel spacecraft is equipped with the largest single mirror ever built for a space telescope. Orion, often referred to as The Hunter, is a prominent constellation located on the celestial equator and visible throughout the world. 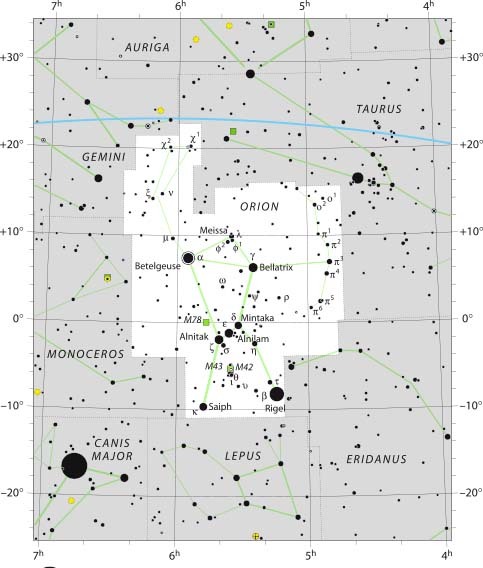 It is one of the most conspicuous, and most recognizable constellations in the night sky. Its name refers to Orion, a hunter in Greek mythology.